On this page we explain how to get more V-Bucks for free in Fortnite: Battle Royale, with a breakdown of how to earn V-Bucks from daily log-ins and quests. Fortnite: Battle Royale's easily one of the biggest free to play games on the planet, so it should come as no surprise to learn that the majority of its income pivots on the in-game Item Shop where players can purchase cosmetics with real world currency. Of course these don't offer an advantages, but they're purely for fashions sake and looking absolutely fabulous. To bag your cosmetic goodies, you'll be spending real world currency in exchange for V-bucks. With these you'll be able to purchase new outfits for your character, new pickaxes, new gliders and more (the list is exhaustive!). There's also a little something called a Battle Pass, which adds a unique form of progression to your matches. A new one is introduced at the start of every season, bringing with it themed cosmetic gear to unlock as you play the game and complete it's challenges. 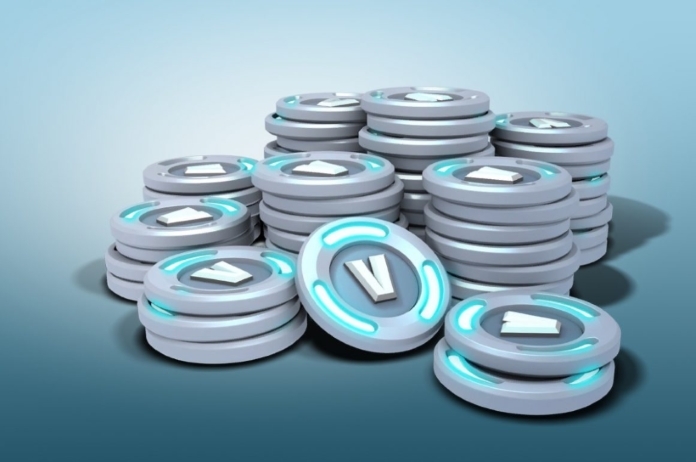 Currently, the only way to get your hands on a stack of V-Bucks is to fork out real world cash and choose a bundle of Bucks that fits your budget. However, if you're strapped for money at the moment, it's not all doom and gloom. Thankfully there are ways to get yourselves V-Bucks for free. For those of you who've got more time than cash at your disposal, then there are some surprisingly efficient methods for getting hold of V-Bucks without whipping out your credit card. There's just one small drawback, though - you'll need to buy the single-player Save The World PVE component of Fortnite. Sometimes it's available at a drastically reduced price, but it's a case of keeping an eye on the store to save yourself a bit of cash. Just below we've broken down all of the methods for getting free V-Bucks that are currently available to the playerbase. Before we dive in though, we'll repeat Epic Games' own warning that you should never click on any links promising free V-Bucks. This includes free V-Bucks dedicated websites. Getting caught up in these scams will likely mean you have your account stolen, sensitive details stolen and all sorts of viruses sliding into your system. Be vigilant out there. We've taken the opportunity to overhaul our free V-Bucks guide with all the latest information. . It's also worth highlighting the importance of owning Fortnite's PVE component, Save The World. It's pretty pricey at $39.99, but it often goes on seasonal sales for a $19.99 so make sure you keep an eye out. This is pretty much the easiest - albeit slowest - way to get your hands on a little extra free cash. Logging into the game each day will provide you with a small amount of the currency, and the bonus resets every day. Just remember to fire the game up every single day and start banking those free V-Bucks - it's not the fastest route towards tricking out your character, but it all adds up over time and it remains the most dependable ongoing route towards fattening up your wallet. Each week you'll gain access to three free Weekly Challenges. They usually involves finding specific items across the map, eliminating enemies, destroying structures and the like. It's essentially all stuff you can accomplish simply by investing some time in the game. Complete these challenges and you'll earn Battle Stars for your efforts. In turn, you'll begin levelling up your free Battle Pass and start climbing up the rankings. Many of the rewards you'll earn for reaching certain tiers of the battle pass will be cosmetic (Gliders, Pickaxes etc. ), but a handful of tiers grant you a 100 V-Bucks a piece. We cover the Battle Pass Challenges every week, so make sure you head on over to our Weekly Challenges List for all the advice you could possibly need on how to get them done quickly! When you log in to the core Fortnite game you'll be offered rotating missions from the Daily Quest system. Once you've completed each one, you'll get your free V-Bucks and you'll be able to spend them on items for the Battle Royale mode. There's another method for getting your hands on free V-Bucks, and that's by completing Storm Shield Defense tasks in a number of locations dotted around the map. Here's the breakdown of what you need to do to get your free rewards, and just how juicy those rewards are! Note that certain areas will prove impossible unless you're at a certain level. New players should start with the StoneWood content. You can also join giveaways on YouTube. You have a higher chance of winning with smaller channels because you are competing against a smaller number of subscribers.